Kuching is the capital of the Sarawak state in Malaysia and is the most populated city compared to other areas in Sarawak. 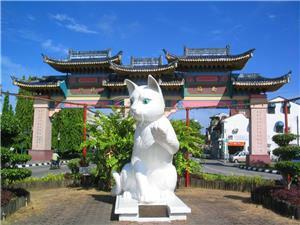 It is geographically located at the southwest end of Sarawak on Borneo island and is mostly known for the infamous cat sculptures around the city. With so much to offer, it’s no wonder that this city is so densely populated. 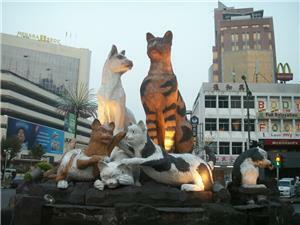 And one of the most preferred way to travel to this purr-fectly amazing city is by taking a bus to Kuching. Currently, most express buses will make pick-up and drop offs at the main bus terminal which is the Kuching Sentral Bus Terminal, located near Jalan Kuching Ranger Depot. However, the bus operators that offer the route for the bus to Kuching are only Biaramas Express and Bintang Jaya Express for the time being. Additionally, these bus operators only provides this route from certain locations only, such as Pontianak, Bintulu, Miri, Sarikei, Serian and Sibu. The main bus terminal available here is the Kuching Sentral Bus Terminal at Jalan Kuching Ranger Depot. Some of the buses that will make pick-up and drop offs from this particular location are Bintang Jaya Express and Biaramas Express, coming from selected locations like Pontianak, Bintulu, Miri, Sarikei, Serian and Sibu. Bako National Park, Semenggoh Wildlife Centre, Rainforest World Music Festival (RWMF), The Astana, Fort Margherita, Kuching Cat Museum, and the Sarawak State Museum. Book your tickets for the bus to Kuching today!